How to collect valid emails? 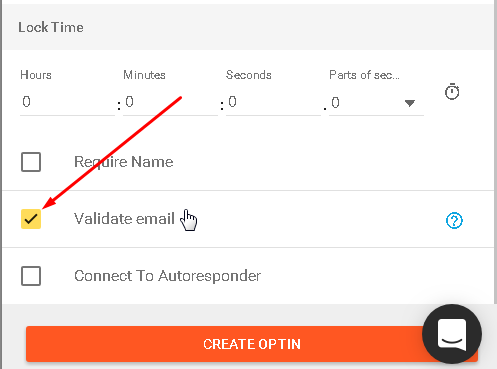 While creating your Email Capture Gate, if you wish that every email entry is validated, you just have to make sure this checkbox is marked. Viewers will not be able to enter a fake email and continue to watch your video, if they try to do that an error message will appear to warn them about the irregular sign up. This validation form can secure you valid emails up to 95%. Please refer to the article Email Capture Gate, to see how you can create a gate from scratch.